Doctor Who fans will finally get to see Jodie Whittaker as the 13th Doctor in the first episode of the new series on BBC One on Sunday. This article tries to avoid plot spoilers, but does have some details about what you can expect of the characters, locations and themes. If you don’t want to know, read this instead. The episode’s official synopsis reads: “In a South Yorkshire city, Ryan Sinclair (Tosin Cole), Yasmin Khan (Mandip Gill) and Graham O’Brien (Bradley Walsh) are about to have their lives changed forever. Here are several other things to expect from the new Doctor Who episode, titled The Woman Who Fell To Earth. Whittaker is likeable, daring, ingenious and funny. But the word that best sums up her character is – fearless. She isn’t as zany as she might have been – she does have some zinging, laugh-out-loud lines, but they don’t overpower the sense of adventure. “The things I wanted to bring were an energy and childlike enthusiasm and joy and hope,” Whittaker said at the premiere in Sheffield. All in all, she’s quite a human Doctor. As human as she can be, considering she’s an alien. As has occasionally been pointed out, Whittaker is the first female Doctor. This elephant in the Tardis is dealt with neatly early on, when Whittaker’s Doctor has an amusing response to someone pointing out she’s a woman. 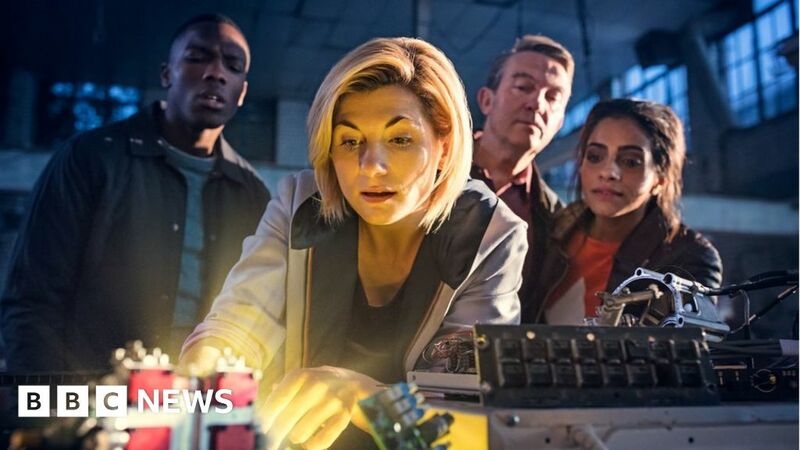 Showrunner Chris Chibnall could have been tempted to make more of this, but hasn’t overdone it – although Whittaker said her gender will be a factor in some future storylines. Bradley Walsh – actor, comedian, game show host, former footballer, singer, cult hero – is the best-known of the Doctor’s three new companions. He’s said he had to appear older than his real age of 58. The things audiences most love about Walsh – the natural humour and witty repartee – are difficult to replicate in a scripted show, however. The Steel City, and the surrounding moors, loom large. Sheffield hasn’t had this much screen time since The Full Monty. We know from the trailer – and would fully expect – that this series will hop around space and time. But many shots from the trailer don’t come from the opening instalment, which mostly keeps its feet on the ground on one dark South Yorkshire night. “Particularly with a new Doctor, you want to ground it in a home, and Sheffield is the home for this series of Doctor Who,” Chibnall said. Chibnall has insisted no old monsters will appear in the new series. And we meet a couple of stubborn new foes in the first episode. One in particular may cause you to dive behind your sofa. The show has to balance family appeal with fright and tension, and this particular creature gives it a properly scary edge. It’s not only the Doctor who has to be fearless – her companion Ryan must attempt to overcome a condition he struggles with. The first episode of Doctor Who is on BBC One on Sunday, 7 October.